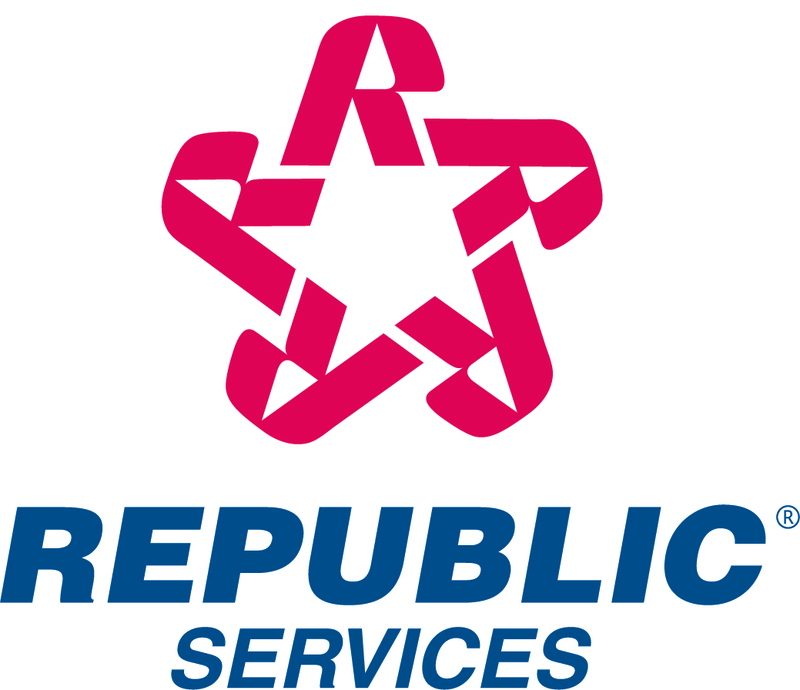 Republic Services, Inc. today reported net income of $62.5 million, or $0.41 per diluted share, for the three months ended September 30, 2004, versus net income of $44.7 million, or $0.28 per diluted share, for the comparable period last year. Net income for the three months ended September 30, 2003 included an additional accrual for self-insurance of $14.9 million (or approximately $0.09 per share), net of tax, related to existing claims. Revenue in the third quarter of 2004 increased 8.0 percent to $699.9 million from $648.0 million for the same period in 2003. Operating income for the three months ended September 30, 2004 was $116.5 million, compared to operating income of $87.3 million (which included an additional accrual of $24.0 million for self-insurance) for the same quarter last year. For the nine months ended September 30, 2004, net income was $180.3 million, or $1.16 per diluted share, versus net income of $159.7 million, or $0.98 per diluted share, for the comparable period last year before the cumulative effect of changes in accounting principles. Revenue for the nine months ended September 30, 2004 increased 7.5 percent to $2,020.4 million from $1,879.9 million for the same period in 2003. Operating income for the nine months ended September 30, 2004 was $342.7 million compared to operating income of $306.2 million (which included an additional accrual of $24.0 million for self-insurance) for the same period last year. "We remain on target to achieve the 2004 guidance that was provided to investors in January 2004 which was to earn between $1.50 and $1.55 per share and generate free cash flow of $340 million," said James E. O'Connor, Chairman and Chief Executive Officer of Republic Services, Inc.
Republic also announced that its Board of Directors declared a regular quarterly dividend of $0.12 per share for shareholders of record on January 3, 2005. The dividend will be paid on January 17, 2005. Additionally, during the three months ended September 30, 2004, Republic purchased 1.7 million shares in the open market for $50.1 million. For the nine months ended September 30, 2004, Republic purchased 8.8 million shares of stock in the open market for $242.8 million. The following information should be read in conjunction with the Company's audited Consolidated Financial Statements and notes thereto appearing in the Company's Form 10-K as of and for the year ended December 31, 2003. It also should be read in conjunction with the Company's Unaudited Condensed Consolidated Financial Statements and notes thereto appearing in the Company's Form 10-Q as of and for the three and six months ended June 30, 2004. During the first quarter of 2003, the Company adopted Statement of Financial Accounting Standards No. 143, "Accounting for Asset Retirement Obligations" (SFAS 143). SFAS 143 required the Company to change the methodology it used to record closure and post-closure costs related to its landfills. Upon adopting SFAS 143, the Company no longer records closure and post-closure expense as a component of cost of operations. Instead, amortization expense is recorded on the capitalized portion of the obligation and accretion expense is recorded using the effective interest method. During the three months ended September 30, 2004, cash provided by operating activities was $175.4 million, cash used in investing activities was $74.7 million and cash used in financing activities was $50.6 million. During the nine months ended September 30, 2004, cash provided by operating activities was $537.3 million, cash used in investing activities was $90.7 million and cash used in financing activities was $450.0 million. Capital expenditures include $.7 million and $1.1 million of capitalized interest for the three months ended September 30, 2004 and 2003, respectively, and $1.5 million and $2.1 million for the nine months ended September 30, 2004 and 2003, respectively. As of September 30, 2004, accounts receivable were $285.9 million, net of allowance for doubtful accounts of $15.8 million, resulting in days sales outstanding of approximately 37 (or 25 days net of deferred revenue). During the three months ended September 30, 2004, the Company paid approximately $50.1 million to repurchase 1.7 million shares of its stock. During the nine months ended September 30, 2004, the Company repurchased a total of 8.8 million shares of its stock for approximately $242.8 million. At September 30, 2004, the Company was authorized to repurchase up to an additional $22.9 million under its existing repurchase program. In October 2004, the Board of Directors authorized the repurchase of an additional $275.0 million of the Company's common stock. In July 2004, the Company paid a dividend of $9.1 million to shareholders of record as of July 1, 2004. During the third quarter of 2004, the Company increased its quarterly cash dividend from $.06 to $.12 per share. As of September 30, 2004, the Company recorded a dividend payable of approximately $18.1 million to shareholders of record at the close of business on October 1, 2004, which has been paid. In October 2004, the Company's Board of Directors declared a regular quarterly dividend of $.12 per share for shareholders of record on January 3, 2005.